We’ve definitely caught the love bug here at the corporate office, but can you blame us? First of all, the weather here in Utah has been absolutely beautiful, with sunny skies and warm breezes almost every day this month! Second, Valentine’s Day, the day devoted purely to celebrating hearts (something we’re very fond of at this company), is less than a day away. Our hearts are especially full this season with love for our dear Consultants, the lifeblood of our company, so we decided to channel this affectionate energy into a little project from the heart. 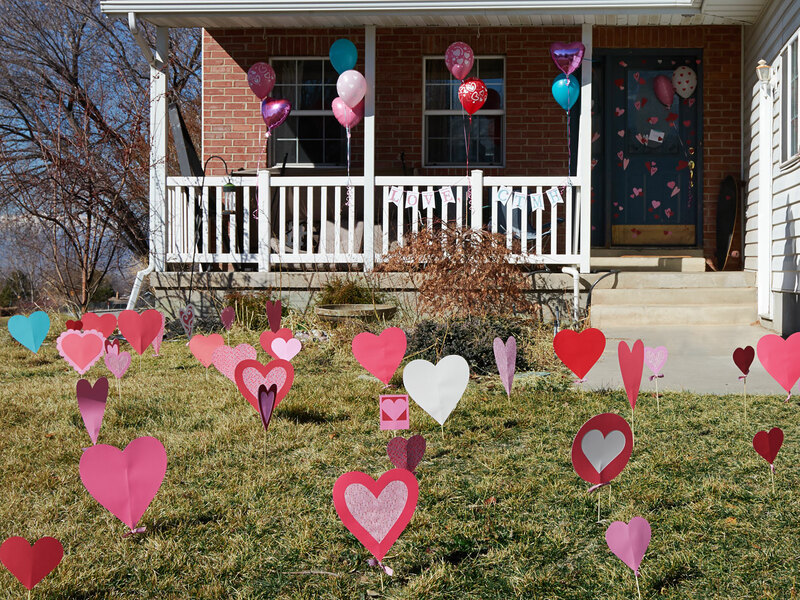 We revved up our Cricut® machines and got to cutting oodles of hearts from some of our favorite papers. 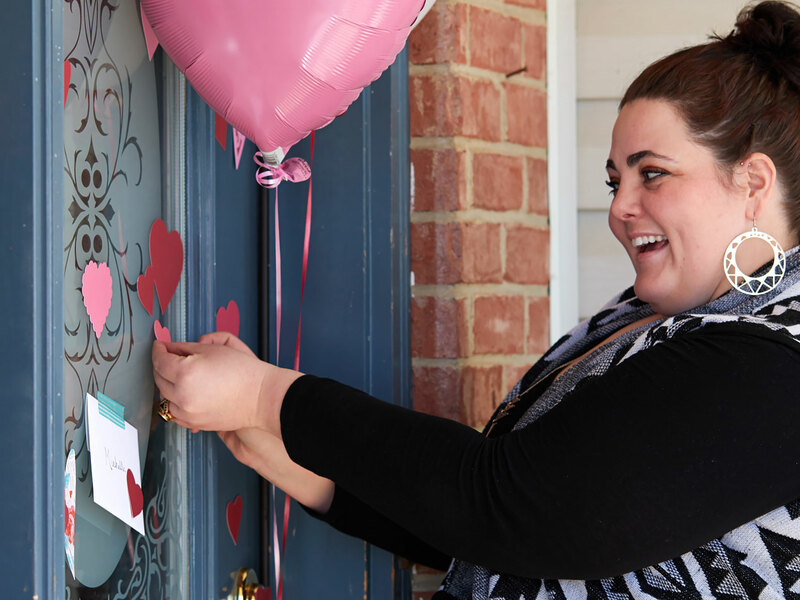 Then we crafted a banner, made a card, picked up some balloons, grabbed our Lagoon hearts washi tape, and hit the road for a little field trip to a special someone’s house: Presidential Director Michelle Brooks. We had so much fun sneaking around her lawn, planting hearts, and then hiding behind her house to wait for her to arrive home. 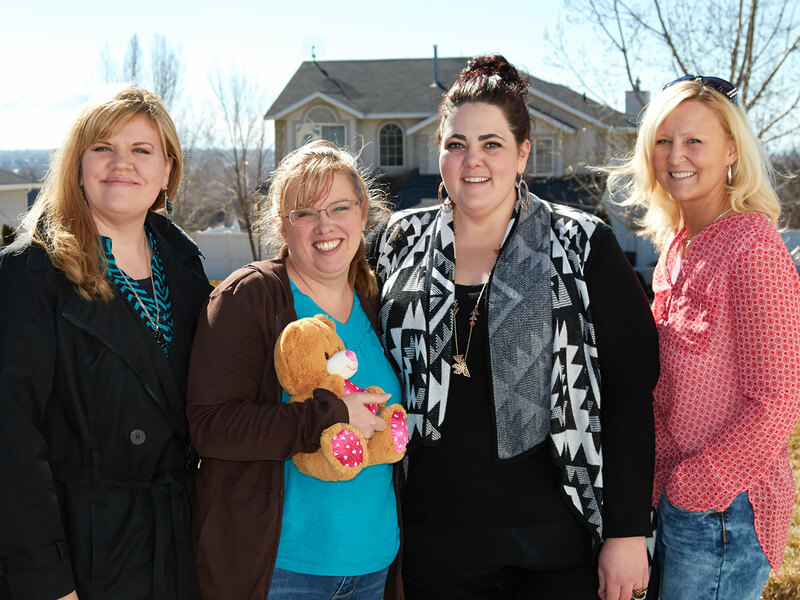 When Michelle pulled into the driveway, she sat in her car for a while, just staring in disbelief at the field of hearts littering her lawn. Finally, she got out, and we ran from our hiding spots to greet her! 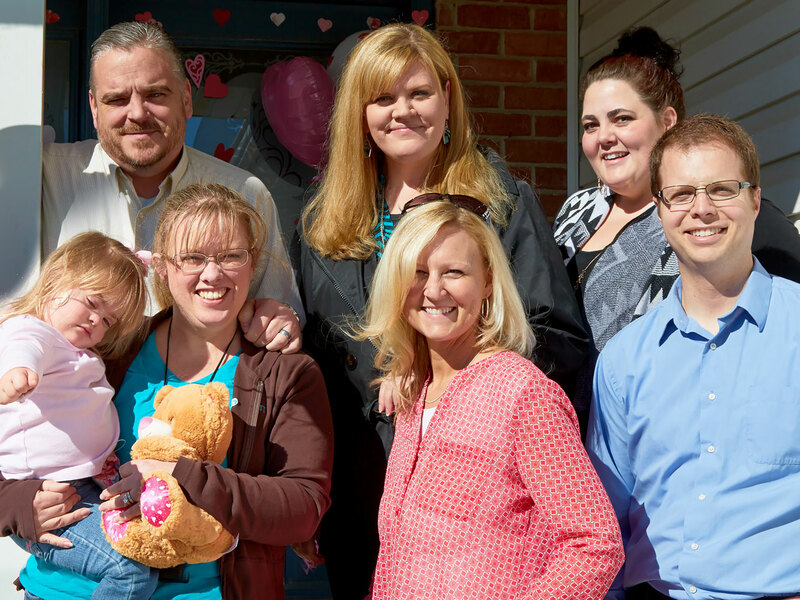 Her adorable daughter arrived home from preschool shortly after on a bus that had a cute heart decoration of its own. It was so special to have both her and Michelle’s husband, Greg, included in the celebration.